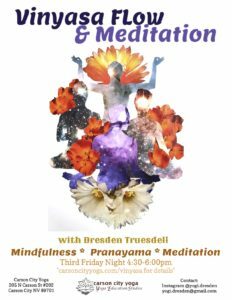 This new intermediate level class is offered once a month, usually on the Third Friday of the Month (check below to confirm dates) at the Carson St studio. A vinyasa style class typically involves moving into and out of poses, going through specific series of movements in concert with the breath, and linking postures with powerful transitions. In this class, we will offer minimal alignment cues as students are lead through intermediate level asana (posture) sequences. Following the Vinyasa Flow portion of the class, there will be time dedicated to Pranayama (breath control exercises) and/or Meditation. In many traditions of yoga, the asana (posture) practice is meant to be a tool to quiet the mind and prepare the body to sit (or lie down) in Meditation. We will follow that tradition, and each month the practice will consist of a Vinyasa flow, followed by basic breath awareness techniques. This is meant to encourage a quiet mind so that over time and with continued practice, spontaneous meditation experiences will naturally occur. Who is this class right for? 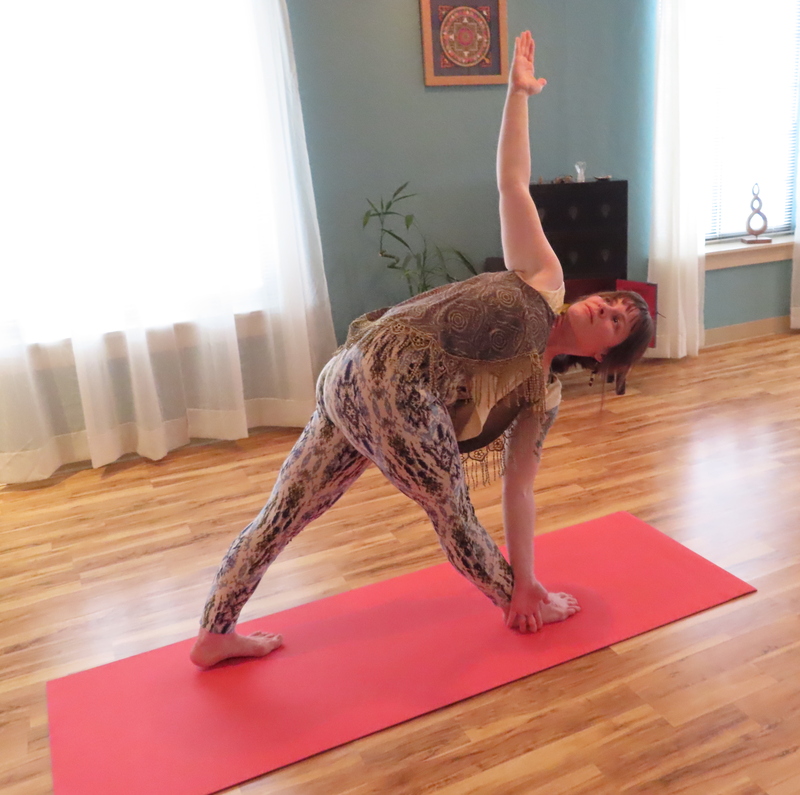 This is an intermediate level class, and is meant for students with a basic knowledge of poses and an understanding of the alignment of their body. Students should be familiar with basic poses such as Virabhadrasana I, II, & III (Warrior I, II, & III), Trikonasana & Parivrtta Trikonasana (Triangle & Revolved Triangle Pose), and Parsvottanasana (Pyramid Pose), along with the classic “vinyasa” sequence, i.e. Chaturanga Dandasana (Low Plank Pose) followed by Urdhva Mukha Svanasana (Upward-Facing Dog Pose) followed by Adho Mukha Svanasana (Downward-Facing Dog Pose). You can sign up for this class through our calendar, or just drop in. Note from the teacher: Students should prepare for this class by drinking plenty of water the day before and the day of. Moving through one posture per breath and holding certain postures can create a lot of internal heat, which should be comfortably maintained throughout the practice. Drinking water during the actual practice will dilute the inner fires and minimize the full effects of the vinyasa sequence. Coming to class already well hydrated reduces or eliminates the need to drink water during the actual practice. If it is necessary to drink during class, or to take a short break, this is perfectly acceptable, but the idea should be in mind of maintaining hydration before and after the practice. Please Note: This class has a “Pay What You Can” option. You may use your class packages, or pay what works for you when you come to class. If you have any questions, please contact us.